The Virtual Book Club for Kids is excited to launch our year! We have hand picked some of our favorite classic books to feature this year with you. 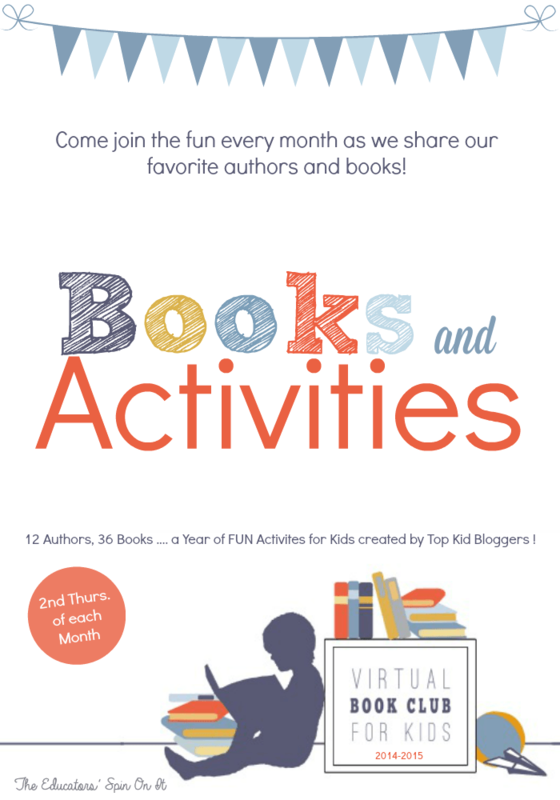 Each of our Virtual Book Club for Kids Bloggers will be creating activities to share with you on. Are you ready to join us? 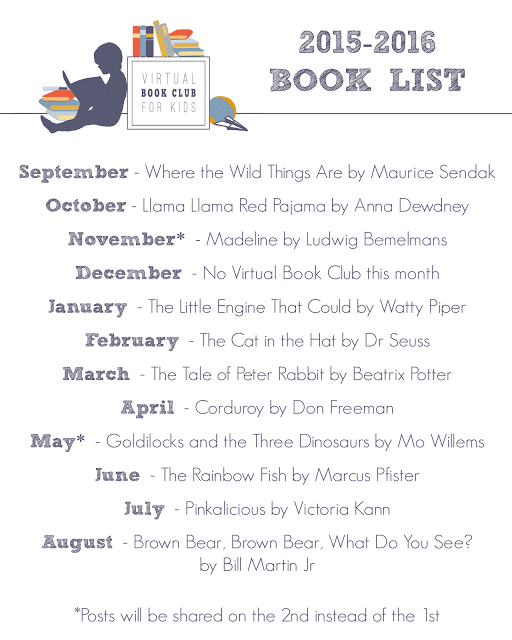 Here’s the Calendar for the Books this year for the Virtual Book Club for Kids for the 2015-2016 School Year! AUGUST Brown Bear, Brown Bear by Bill Martin Jr. Most of the books we are featuring can be found at your local library. I have provided Amazon Affiliate links for your ease as well if you want to purchase the books and add them to your home library or school library. 2. 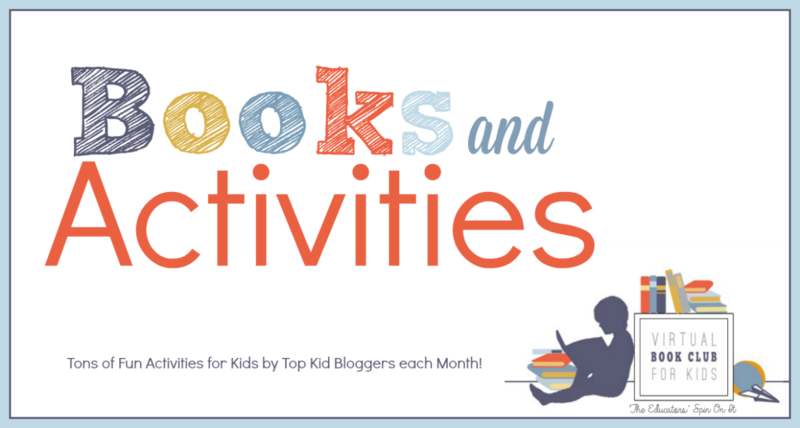 Try out one of more of the featured activities shared by our Virtual Book Club for Kids co-hosts with your child. 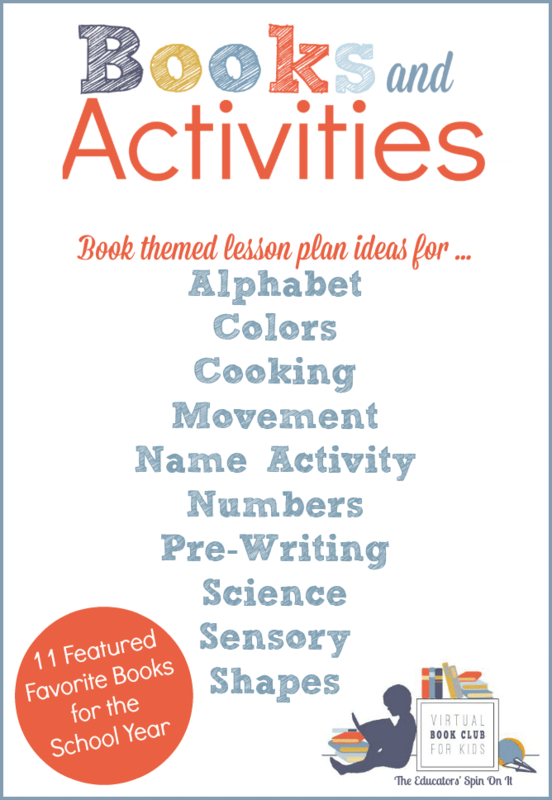 Activities will be posted on the 1st of each month so you can access them all month long. We will be s haring all of the featured activities on our Virtual Book Club for Kids Facebook page so that they are easy for you to find. If you haven’t “Liked” or Facebook page be sure to so you don’t miss the activities and fun. I will also be linking to each activity here on the 1st of each month. 3. Post a photo or tell us about a featured book inspired activity YOU DID with your child using the featured book on our Virtual Book Club for Kids Facebook Page or in the comments here on our blog. Feel free to email us too. 4. (OPTIONAL) Create your own book-inspired activity using the featured book and either share it on your blog and share a link with us, or if you don’t have a blog, just share a photos with us on our Facebook Page. 5. (OPTIONAL) Create your Mommy and Me Book Club featured the Virtual Book Club Books. 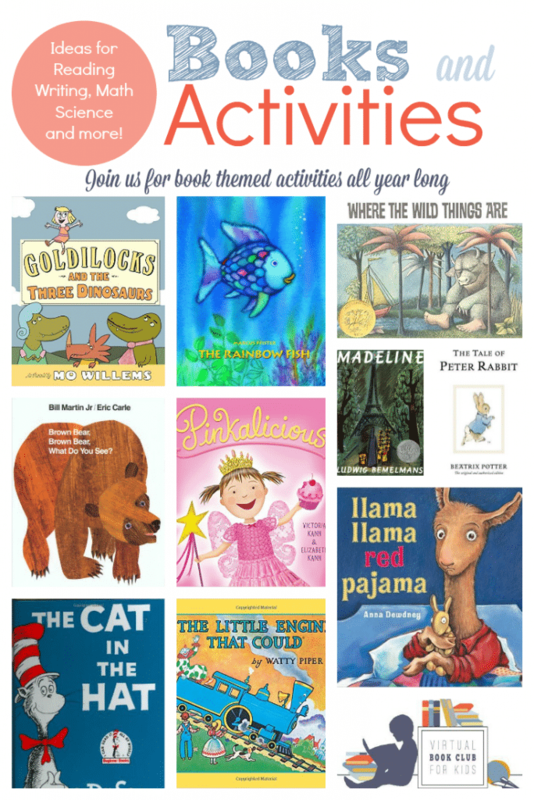 Get together with friends and read the book each month and then do book-inspired activities together. Looking for more book lists and book themed activities ? Here’s the past 3 years of Book Clubs! I would love to join the VIRTUAL BOOK CLUB FOR KIDS this year! Here’s a Corduroy inspired button art I did with my little one!